Okay, last Captain Marvel post for awhile. 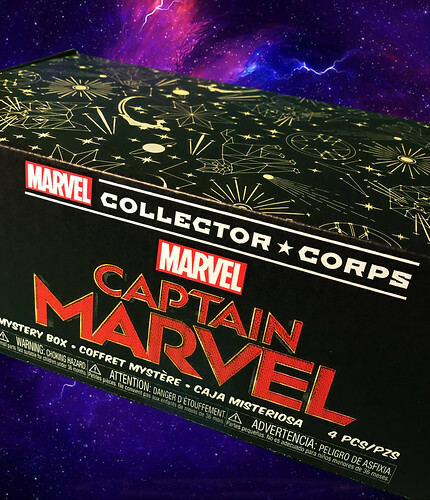 I knew there would be a Funko Marvel Collector Corps box for Captain Marvel and when I saw it was coming with two exclusive Pops, I figured why not check it out. 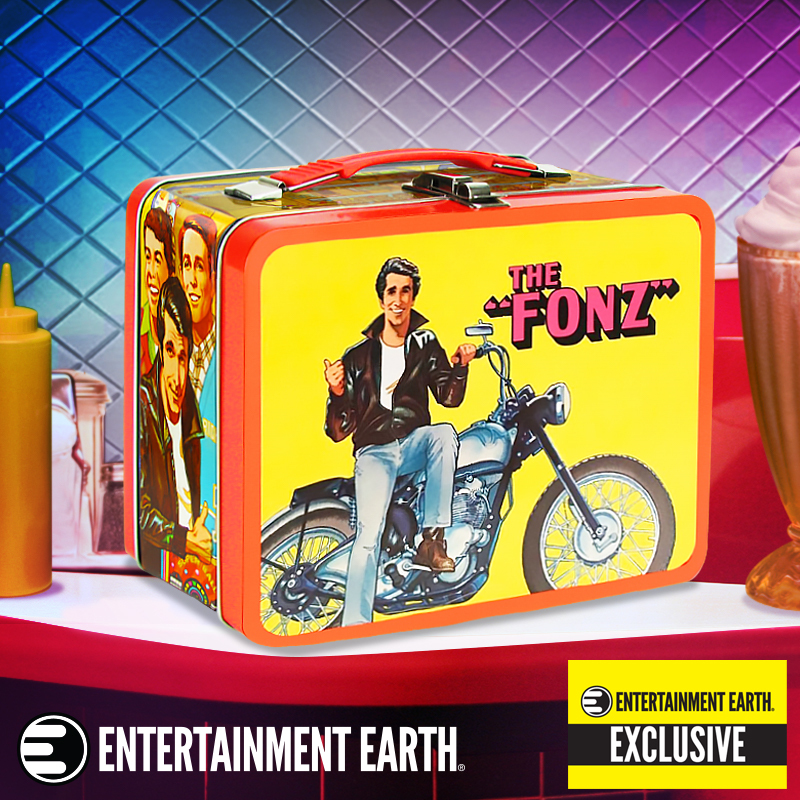 Before we even get into the contents, check out the "stellar" art on the box top. 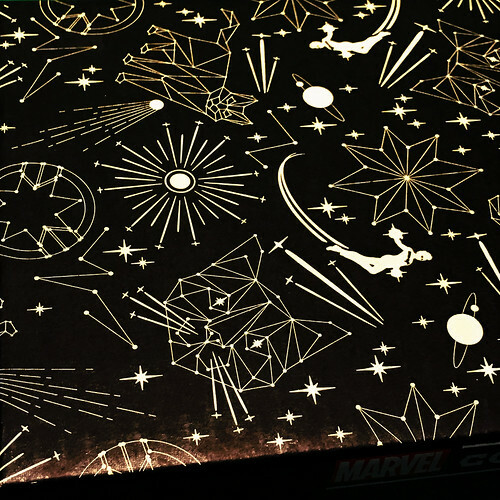 Carol is zooming around space among line art constellations that include Goose the cat. The art is that kind of off-white that looks like it would glow in the dark. Sadly it does not. Alrighty, let's see what's in the box! I think this is he first piece of glassware I've received in one of these boxes. The art really pops off the glass. When Carol first took up the mantle of Captain Marvel in the comics, I was not a fan of the mohawk look. It's grown on me over the years, even more so after seeing it in a live action movie. 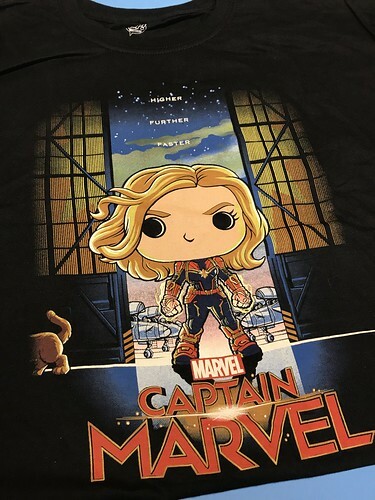 Next up is the shirt that I'll be wearing when I see Endgame. 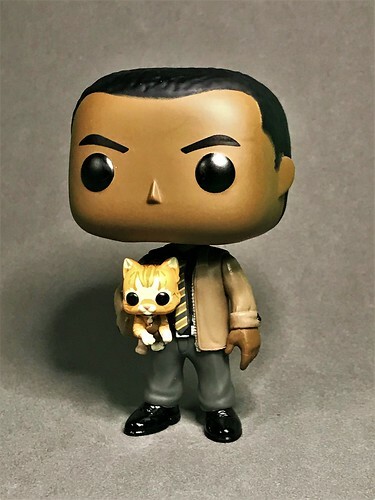 Grown men should probably not use the phrase "totes adorbs" but I mean...it's Funko Pop art. I like that Goose is on the shirt but not really stealing the spotlight. It's funny that you just see him walking away. 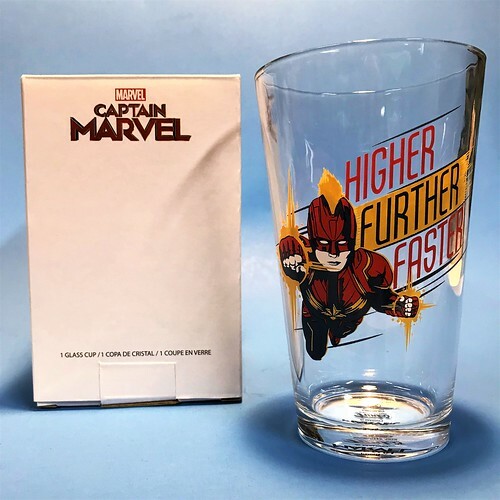 It wouldn't be a good Captain Marvel box if you didn't have just a little more Goose in it. 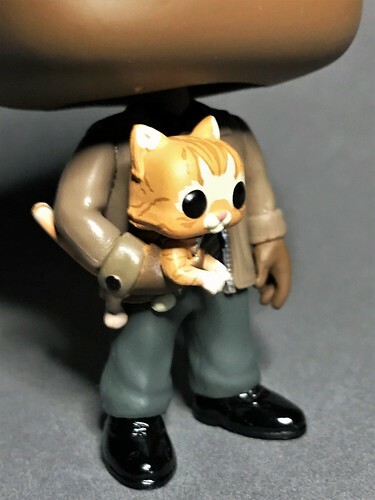 The detail that goes into these Pops never fails to impress. They didn't need to include buttons on Fury's jacket cuffs or the wrinkles in his pants. And the tie is pretty great too. Of course, he's holding an itty bitty Goose which is too cute. 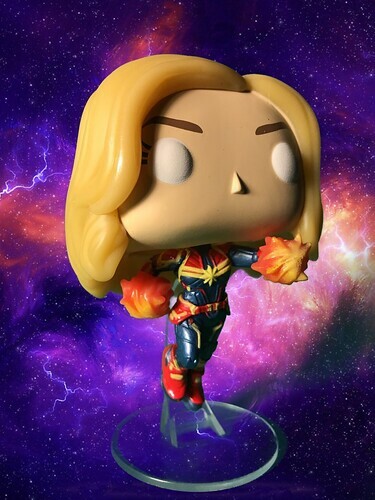 The last item is a glow in the dark Pop of power punching Carol. She's flying a bit off the ground thanks to a translucent base. I mentioned the extra details on Fury weren't really necessary but here, it's all necessary for her costume and it looks amazing. I tried to get a shot of her glowing. It's not great but here it is. 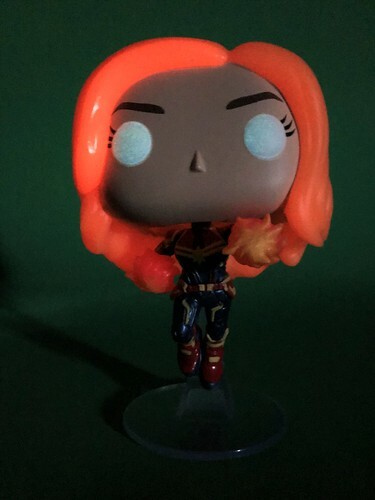 Her eyes glow a little but not as much as her hair and power effects. I was a bit surprised that her her glows because I was only expecting the eyes and maybe her hands. 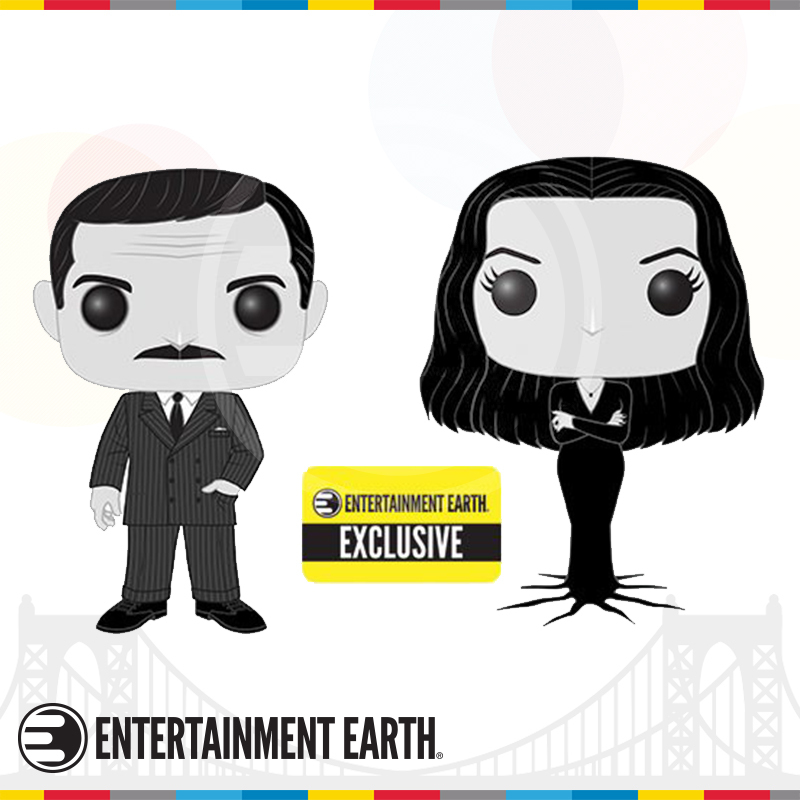 Overall, another solid Funko Collector Corps box! If you want to subscribe, it's now offered on Amazon. 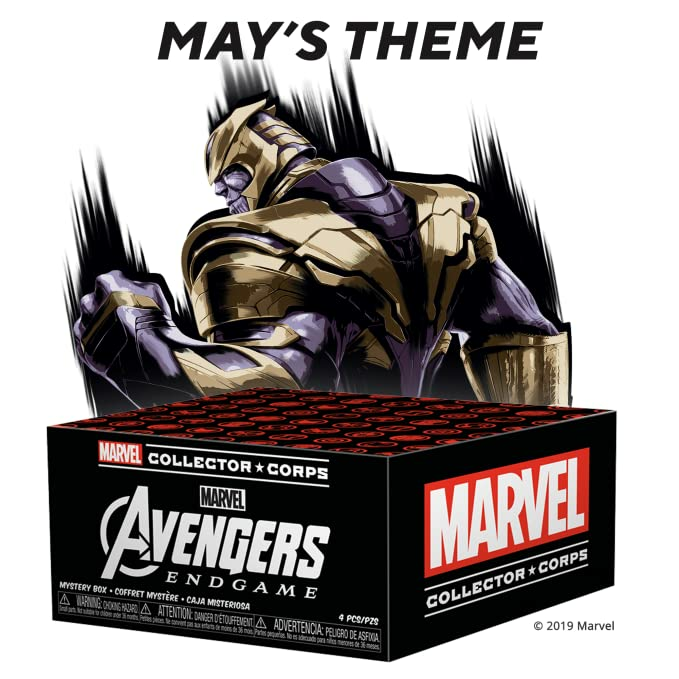 The next box will be Avengers: Endgame and include a shirt. Sign up for this box ends on 5/28. It's not a hard set subscription service, you can just order when you like the theme and cancel after that if you want. Disclaimer: All copyrighted material presented here is done so for entertainment purposes and maintains all original ownership. No infringement is intended.